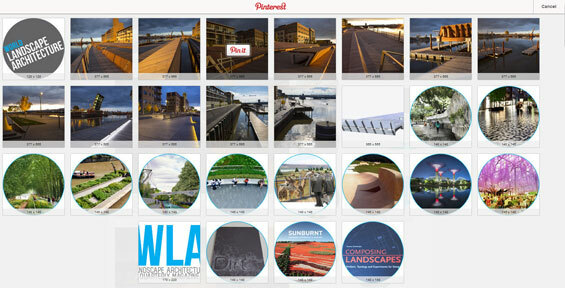 Pinterest is a great way to curate images for the office image library and projects. Starting is as easy as setting up a user account and then creating ‘Boards‘ which are like categories for your images so for landscape office you might start with ‘Boards’ like trees, plants, urban parks, squares, stone, and so on and then start collating images by uploading from your computer, phone or ‘pinning’ images from websites. You just need to remember that the images you are ‘pinning’ are public for everyone on the web to see which can be good for publicising your work or what your working on, but you might want to keep it in-house which I’ll cover later. Adding images can be done via the Pinterest website by uploading or using a image link. However, I have found the easiest way is to use the ‘Pin It’ button that you can add to your bookmarks/favorites bar. Whilst surfing the web you can just click the ‘Pin It’ button and it will show you all the images on the page and then ask which board and any keywords you would like to add which is useful when looking for images later. In an design office, Pinterest is a useful tool for a project team to brainstorm ideas with images and also as an office image library for design inspiration and creating material palettes for clients. Remember, the time when it was pre-Flickr and you were sorting through the office image library, you found that perfect image but didn’t know the where the original came from. 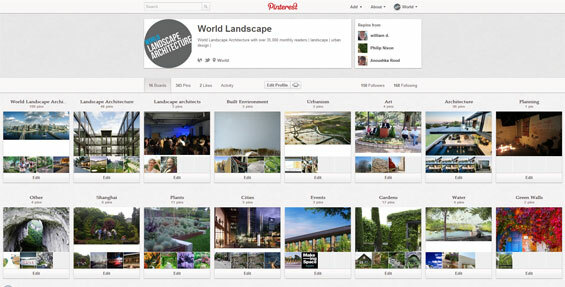 With Pinterest its easy you can just zoom on the image and then click it and it will take you to the original location (time saving tool for checking for image credits) and adding keywords (material, location, designer, etc) when you Pin an image can save you time later on. Pinterest is a quick way for students to start collating inspiration images for design studios projects and also useful for group projects. Imagine the image library you could have at the end of 4 year design course as a record of your progression as a design student and also for use on future projects. Pinterest is great for projects as you can share images with the whole office on a project board but also with clients. Now as I alluded to previously you might want to keep the projects in-house(confidential), and this is when you can use Pinterest’s recently launched ‘Secret Boards’. 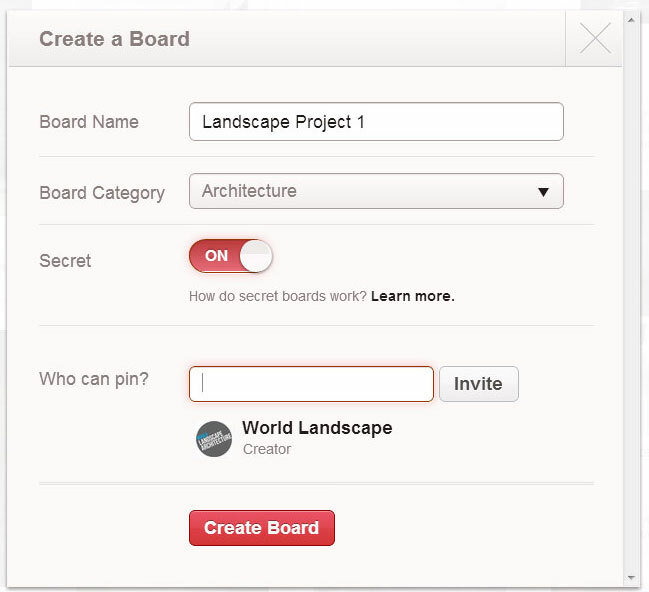 Secret Boards can only be seen by people you invite that are already using Pinterest or via email, it is sort of like a visual Dropbox. The only draw back is that Pinterest limits you to only 3 boards. The power of this tool is sharing images with clients and allowing clients to add their images and inspirations. Image you have numerous competition team members spread across offices and different design firms, one way is you could use email, dropbox, pdfs, but much of this is time consuming and often leads to lengthy time lags. 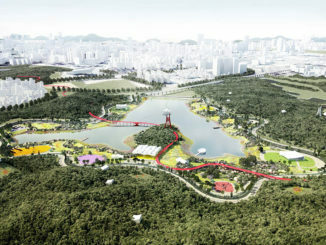 However, using Pinterest could allow different teams in different time zones to add images, drawings, sketches, and site links to a central location. You can easily surf through Pinterest and see all the images the whole world has posted in various categories, our favourites include Architecture, Design, and Gardening. Also using search is great way to find images, projects and people. 1 We are all becoming more mobile and surfing the web wherever we go, Pinterest thankfully has apps for mobile devices (phones, tablets) which makes it easy for pinning that image you see whilst surfing the web on the train or lying in bed with your tablet. 2 The power of Pinterest’s mobile apps is collating and sharing on the go. Image going to a new site away from the office taking video and photos then uploading instantly for the team to see. Or visiting clients or a consultants to work on a project and pulling out your laptop or tablet and flicking through your inspirations for the project whether its precedent design projects or materials. It is instantly visual and get the conversation going. 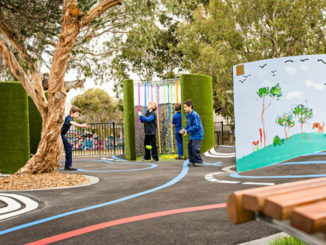 Another feature of Pinterest is that you can ‘follow’ various people and companies including your landscape architecture organisation, design firms, urban furniture supplier and of course World Landscape Architecture, we often update our boards with key images from published projects. Pinterest is an excellent way to get an instant jolt of inspiration by just logging on viewing all the images that everyone you have followed has recently pinned. We would love to hear how you are using Pinterest and remember to follow us and share you images.